Celebrate your little one's special first christmas with their very own personalised bauble. 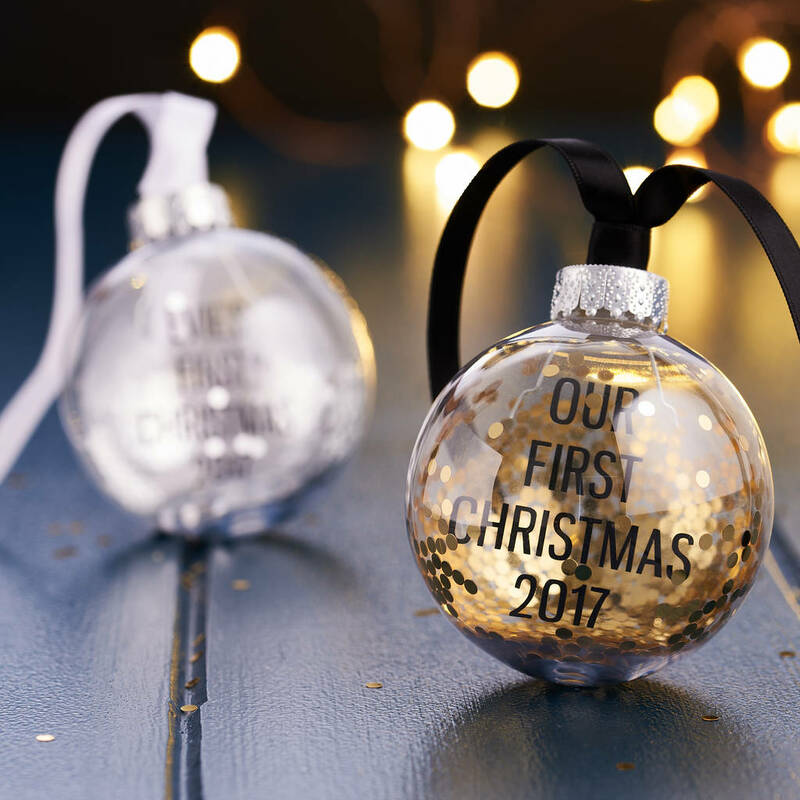 Designed and handmade in our Brighton studio, the unique design of these baubles give the illusion that your message is floating inside. 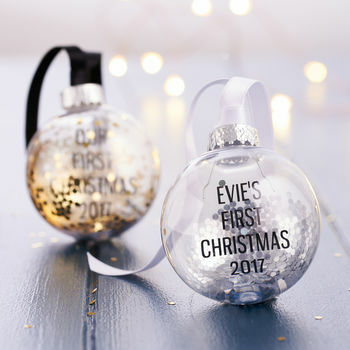 Personalise with a short sentiment to celebrate a first christmas or a simple message to a loved one. 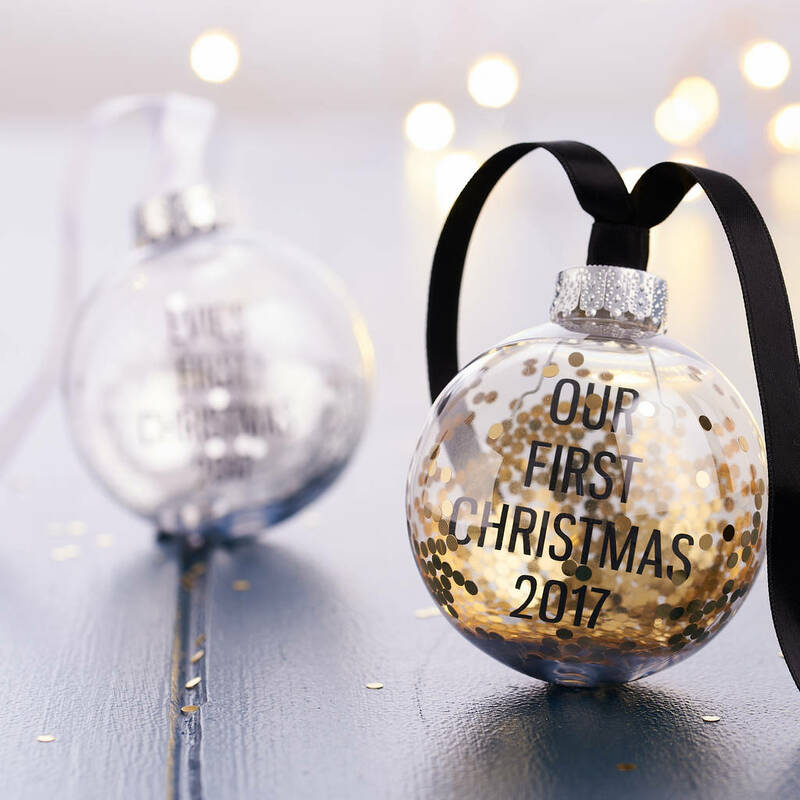 Filled with chunky coloured glitter and finished with a satin ribbon, they will charm your Christmas tree throughout the winter months. 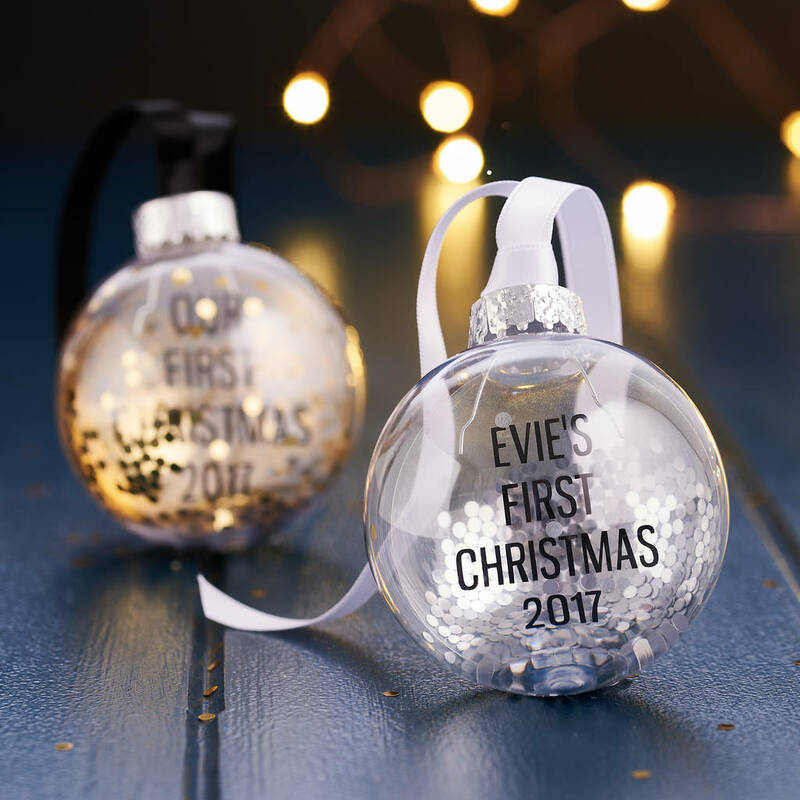 Personalise your bauble with up to 30 characters. We copy your text exactly. We may also distribute your message over several lines.